Tececig e-cigs EXPOSED! The Reviews Tececig Doesn't Want You To See!!! 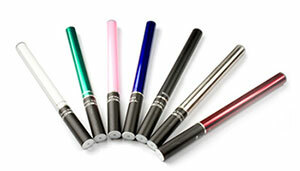 Tececig is prominent in the electronic cigarette retail industry. Tececig (pronounced tech-e-cig) has over 250 retail locations in Illinois and Iowa that offer coffee, food, and relaxation. Tececig knows how to entertain their customers, but are their e-cigarette worth the price? The basic e-cigarette starter kit from Tececig is $39.99 for one battery and two cartridges, and their most expensive starter kit is goes up to $139. I had heard about Tececig from a friend and I wanted to find out if they were any good. Many of these larger mall vendors have had a tough time competing with the many online e-cigarette retailers, so I ordered their best product, the Phoenix Series e-cigarette and put it to the test. With two distinct product series, the Revolution series and the Phoenix series, Tececig offers an e-cig for both newbies and veterans alike. Many e-cigarette vendors forget that there are different types of e-cigarette users out there, and catering to all types is critical. Some of us just want an easy to use rechargeable unit with no mess or fuss. While others require more options and maybe a refillable tank. Not every user is going to enjoy a disposable off-the-wall product, and after using their product, I think Tececig if one of the few vendors that understands this. In fact, I think they want to distinguish their product from all the other e-cigarettes out there by providing a high quality product with a better brand recognition. The Revolution Series is a cigarette sized e-cig that comes in a manual, auto, or "Mega" option. Of course, the auto battery activates the heating element automatically when the user starts to inhale, and the manual battery has a button that is manually pressed to activate the heating element. The "mega" battery is an automatic battery but with a bigger battery for longer use. The automatic version comes in 7 colors. The manual comes in 2 colors, and the mega comes in 3 colors. Your choice of 5 different strengths of nicotine levels including 0% and 27 different flavors. The Revolution is an easy to use e-cigarette with an elegant look and enough flavors to keep you content. The battery lasts a long time for the size and is easy to use. The Revolution Pro and Revolution Traveler Pro both come with a portable charging case that I recommend just for the convenience of being able to charging one battery in your pocket while you are using the other one. The Phoenix Series has a much bigger battery and comes with refillable cartridges. 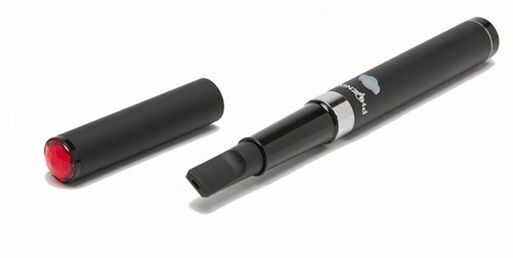 The first thing I noticed about the Phoenix e-cigarette was the cap on the mouth piece. End caps are not common in the industry, but certainly a enjoyable feature to keep lint and dirt from your pocket out of the mouth piece. It almost looks like a big pen or a tiny flashlight with the cap on, and this also doubles as a disguise to hide the fact it is an electronic cigarette. The difference between the Revolution and Phoenix series, besides the size of the battery, is the fact that the Phoenix has refillable tanks that can be filled and stored in cool little wood-like tubes. You can fill each one with any of their 35 ejuice flavors for a no fuss, no mess experience. The Phoenix also come with an atomizer, which is the heating element that the tank of ejuice sits on. The atomizer is replaceable as all atomizers will eventually need to be replaced. Not to worry, having an atomizer means having a beefy cloud of vapor and they are fairly cheap to replace at $14.95, and they should last a few months. Their peach and the apple e-juice because it actually tasted like fruit. If you like the tobacco flavors, try one of their tobacco flavors, but be warned, tobacco cigarette have over 4000 chemicals that contribute to their flavor and replicating that flavor accurately is almost impossible with ejuice. I found the Phoenix ecigarette to have a solid build and a clean look. It is built for the user who likes more options, such as refillable tanks and a bigger batteries. The vapor had a clean and refreshing throat-hit that was backed by a satisfying vapor cloud. The only thing I did not like was that I had to take a longer, slower drag to get a big vapor cloud, but that is quite common for me with any rechargeable electronic cigarette, as I take big draws. The other issue I had was with the tank that holds the e-juice, it was not fully seated on the atomizer when I first used it, so I got an airy pull. Once I figured out that out and pushed it all the way in, I was back in business. I felt satisfied with the nicotine levels, and I did not feel like I needed to take several drags to get to that point like some of the e-cigarettes I have tried before. I was using the 24mg e-juice. Feb 09, 2013 by Jesse D.
Jan 20, 2013 by Marty P.
Have you used Tececig e-cigarettes before? Tell about what you liked and what you didn't. Had a tec e cig for 2 years and I love it. Many good flavor options. The best part is the warranties. If partd aren't working rite they replace. I recommend Tececig for light smokers, medium to heavy smokers, and situational smokers that desire a mid-range, quality device. Choose the Revolution series if you are just getting into ecigarettes and want an basic device with good flavors. The Phoenix is for more advanced users and/or heavier smokers looking for a more versatile device. The cost savings of refillable tanks is a big plus in my book as well. A must have for a heavy smoker. A great ecigarette for anyone looking for an easy to use, mid-range, electronic cigarette. Expect a well made device with excellent tasting vapor and a fair price from Tececig. I hope you enjoy this e-cigarette review. Don't forget to read more e-cigarette reviews on this site. I hope you find the best electronic cigarette here.